Hey guys! Yes, I am still alive! I know it's been a while since my last post, but I just have to be honest... During the winter, when it's cold--I just don't feel that inspired. So, I decided not to force it. I allowed myself to go into hibernation, if you will. Well, now it looks like Spring is about to enter sooner rather than later here in Kansas City. We've had high temperatures in the 70's for the past few days! Woohoo! Though we aren't going to stay that warm consistently just yet, I am feeling inspired again! The sun is my muse! I look forward to posting regularly again. Have a great, and hopefully sunny and warm weekend! YES! Good to have you back. LOVE this printed pant, perfection. Can I just say how much I love your body! I swear! You look great! I'll be so happy when it's Spring again! 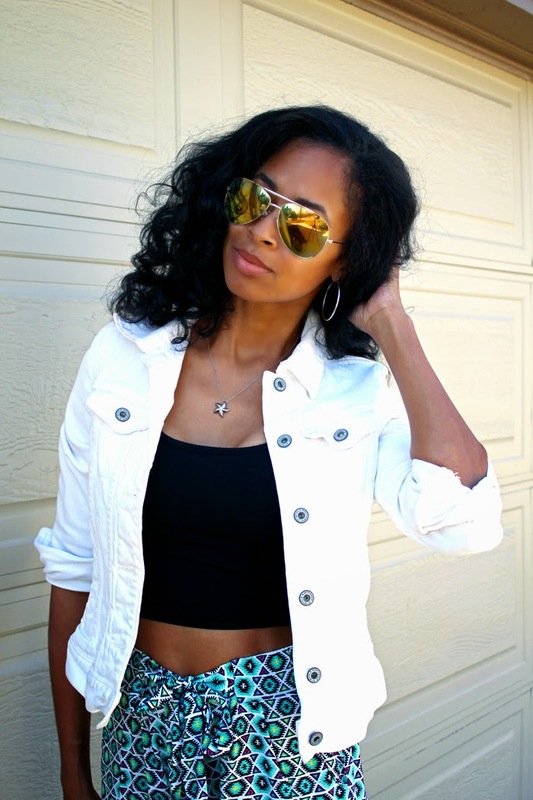 Love these easy breezy pants! Your hair looks beautiful girl....please dish on how you achieved this look!